The cloud hanging over Research In Motion's head is reportedly getting bigger. According to The Globe and Mail, citing multiple sources, the Waterloo-based company is reportedly preparing to cut 2,000 jobs worldwide on or around June 1. Another source told Reuters that number could hit "as many as 6,000 people." 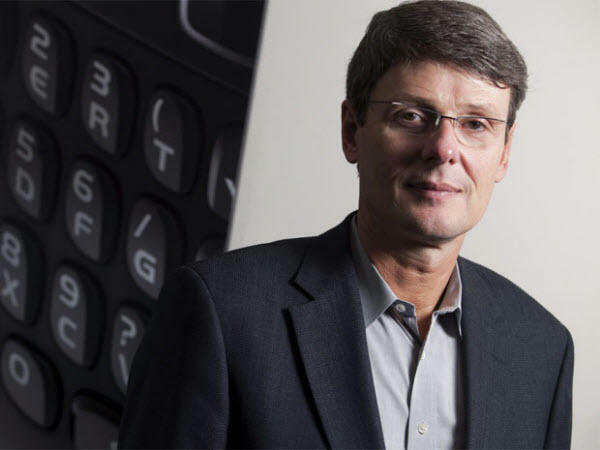 Thorsten Heins, RIM CEO, is one man we certainly do not envy. "The strategic question is: are you accelerating into a better future or shrinking to a niche operation," said the source speaking with Reuters, who declined to be identified due to the sensitive nature of the job cuts. Many high-level RIM employees have parted ways with the BlackBerry maker this year, with the most recent being global head of sales Patrick Spence. The environment within the company has apparently gotten so bad over the past several months that the junior staff has dubbed Thursday "Goodbye Thursdays," because that's when staff is let go. For the sake of RIM, for the sake of its employees, we hope BlackBerry 10 sparks a bit of a revival for the company. Otherwise, it's only a matter of time before RIM is dead and gone forever. But maybe that's better than the current situation the company is finding itself in.